I'm looking at the engines on 767's and trying to figure out how to identify them. Can anybody give me a definitive way to identify each type of engine? I know there are CF6-80's, RB211-524's, JT9D's, and PW4000's. The RB211's are easy enough to identify, so I won't go into any details here. 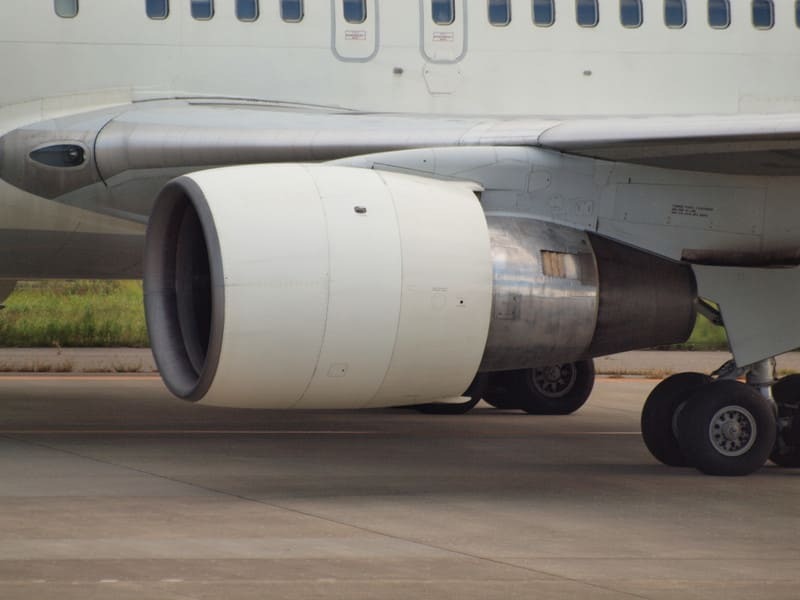 I've seen on https://www.quora.com/How-can-visually-recognize-which-is-a-GE-Rolls-Royce-or-P-W-engine-on-a-commercial-airplane how to tell CF6's(a cooler vent on the right side of the engine). Granted, that is for the 747-400, but my understanding is that the CF6 on a 747 is practically identical to the CF6 on a 767, so I will assume that the same applies for the 767. The same page says that the PW4000's have the cooler on the left side of the engine. The tricky part is the PW4000 vs the JT9D. When I've looked at the Maintenance Facility and Equipment Planning Document (D6-48646) from Boeing, The information about the nacelles for the JT9D's and PW4000's is combined, implying the nacelle is the same. How can I tell the engines apart by looking at them? KORD>RJAA>KORD day trip? Why not! The beauty of non-reving. Finally got on a 747! I work for United Airlines, but I don't speak for the company. While not a direct answer to your question, I'd be surprised if there were *any* B767 still flying today with the JT9D mounted. Atlas actually has a few 762's in service with the JT9D. I was quite shocked when I saw one taxiing in CVG recently! Never managesd it visually, of course it’s super easy to look up and as soon as theh start up, the higher pitched sound on the GE vs PW is obvious. Second picture is a nice diagram comparing the GE, PW4000, and JT9D. Biggest difference between the PW and the GE is that the exhaust cone thing in the rear half of the GE is straight, while the ones on both PW's have a slight curve. In terms of sound: GE's whine; PW's scream. ABX has a few still in the fleet. At least they did a year or so ago. They’re rare, but they’re out there. There’s actually an all-pax 767-200 at ILN right now that’s a JT9D bird, but it’s proving difficult to find engines for. I think the issue is needing to find an ETOPS JT9D which is next to impossible. I don’t think the thing has moved in two years. This is correct. The nacelles are the same, for all intents and purposes. There might be a couple different internal penetrations, but if you could see those you would already have been able to figure out which engine it was. Don't forget the CF6-80A on the old DL and AA birds. They're shorter than the C2, and look a bit more like the shorter-cowled PW engines. Can anybody give me a definitive way to identify each type of engine? Easiest way to tell a JT9D-7R4D on a 767 is a small sensor sticking outside of the fan cowling on the left side. How do you tell a CF6 from a Pratt on a 767? Look at the precooler outlet on the exhaust cowling above (fins on the aluminum section of exhaust cowling). It is on the Pilots side (left) of a Pratt engine. On a CF6, it is on the right side. Another easy way of telling the difference is the location and shape of the oil service door. And Eastern AL, also got it... and the rest to. Thank you everybody for your replies. It's really helping me understand better. Is that just the JT9D-7R4D, or all JT9D's? If the nacelle/cowl is smooth and full length, it's an RB211. If the precooler outlet (vent/fins) are on the left side, it's a JT9D or a PW4000. As I asked earlier in this post, is that sensor for just the JT9D-7R4D, or for all JT9D's. If it's just the -7R4D, are there any external difference anybody can point to? Does anybody have a good pair of pictures to differentiate the two versions? This is tough without being up close. The -A/-A2 engines have a smaller oil service door and a shorter tailpipe. The -C2 has a large oil service door (location: Rt. Side Fan Cowling) and a longer tailpipe. The best way to judge the length of the tailpipe is to look at details on the aft pylon (door latches, etc.) between the two. On the following pictures, the Delta 767-332 non-ER has -A2 engines and the American 767-323ER has -C2 engines. Sorry, I should have been more specific. Is the sensor present on all JT9D's (-7R4D, -7R4E, -7R4E4) used on 767's, or is it present on just specific models of the JT9D again only for the 767? Also, is the sensor present on one side of each engine (i.e. Left side for both engines)? Reason I mention those 3 versions of the JT9D is because that is listed on the TCDS for the 767. P.S. Thank you for your replies. Yes, the sensor is on all of the JT9Ds on the 767. I did not know the -7R4E was on the TCDS for the 767. I thought the -7R4E was only on the A310-200. The only JT9D 767 operators that I can think of are UAL,TWA, Air Canada, Qantas and JAL. Yes, only on the left side. You can pretty much just say PW4000 or CF6-80C2 these days as RB-211, JT9D and CF6-80A/A2 engines are getting rare on the 767. Interesting topic and responses. I've known how to spot the different between GE and PW, but I've always wondered if there's a way to tell the JT9D/4000 apart, or the C2/A/A2. Thanks to those that have helped. Obviously not easy to tell unless up close, but it's fascinating to read about ways to do it.